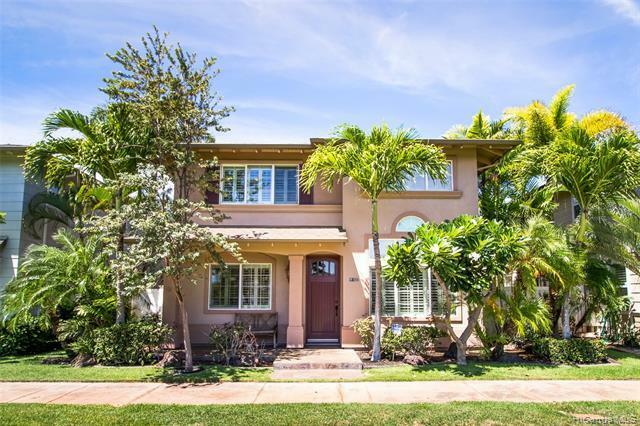 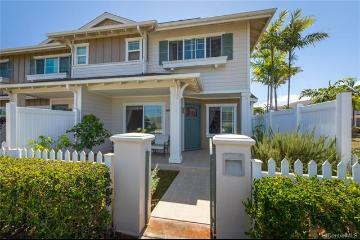 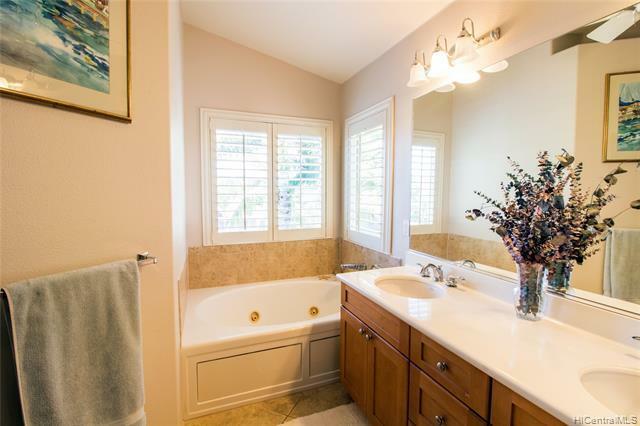 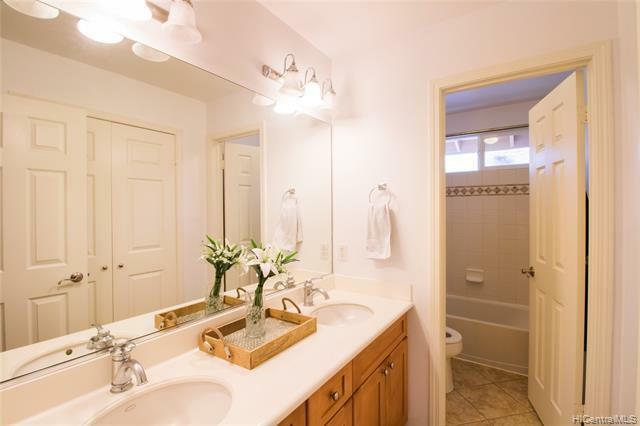 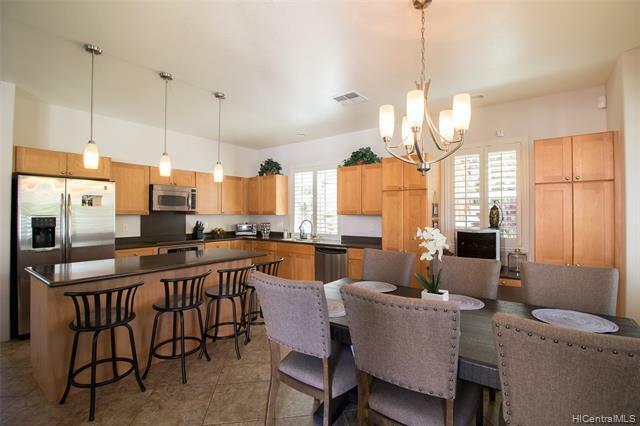 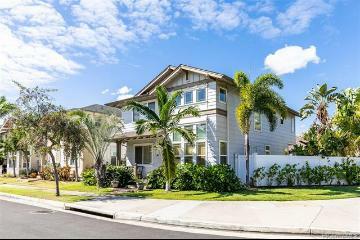 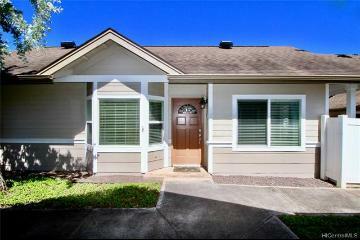 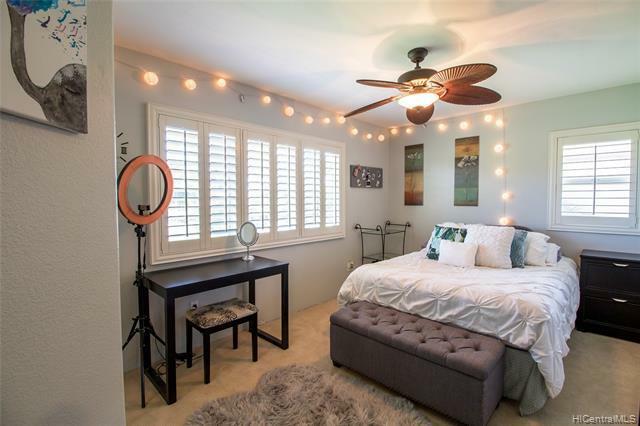 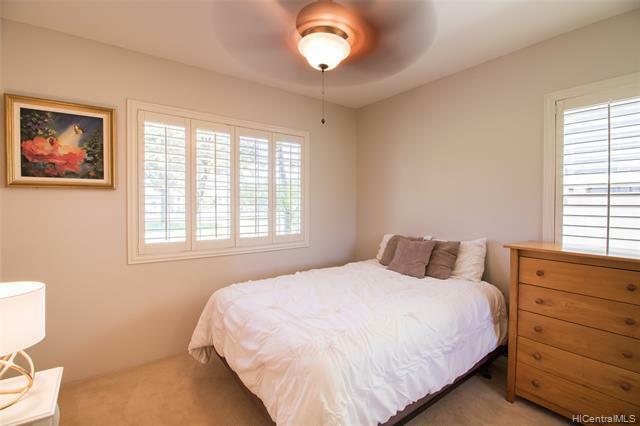 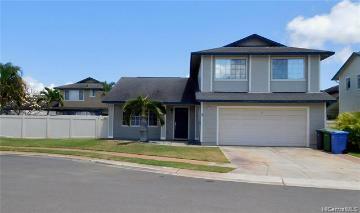 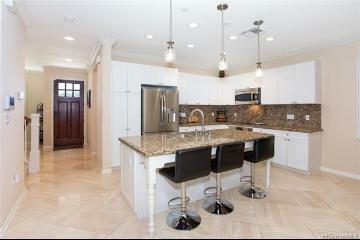 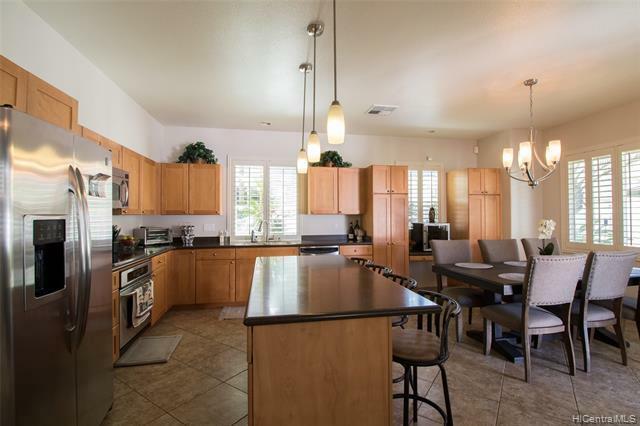 Elegant and spacious 4bed 3bath home plus 3 car garage in popular Ocean Pointe community. 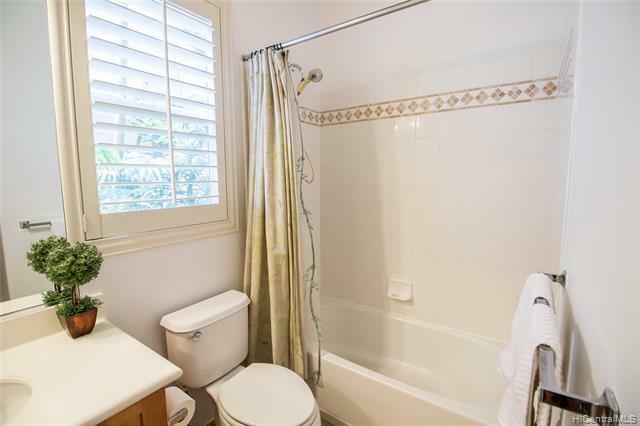 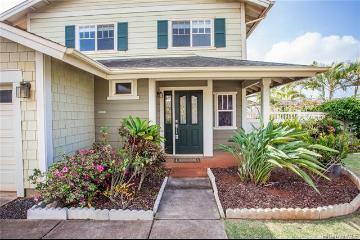 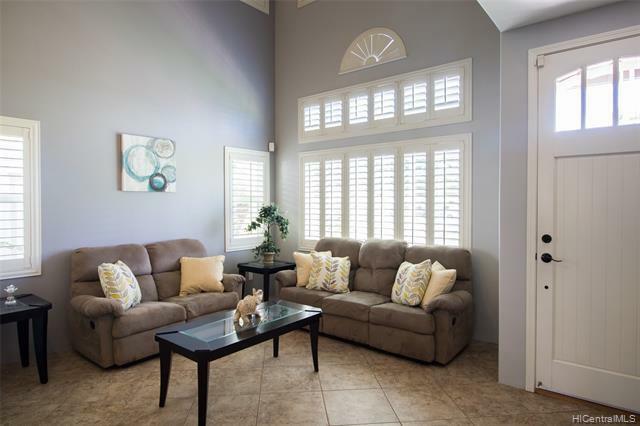 Feature significant upgrades with stainless steel kitchen appliances, ceramic tile flooring and plantation shutters throughout. 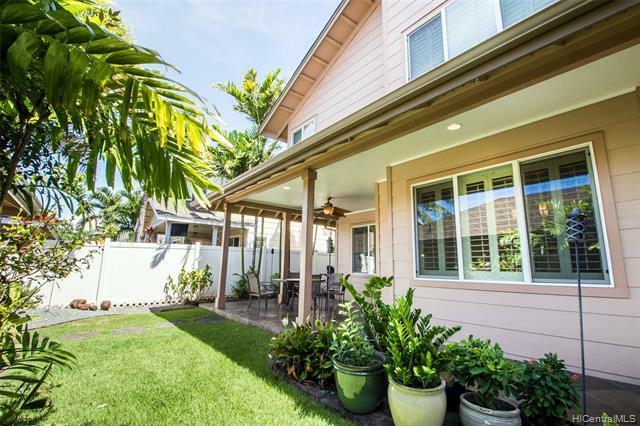 20 owned solar panels to help keep electric costs low. 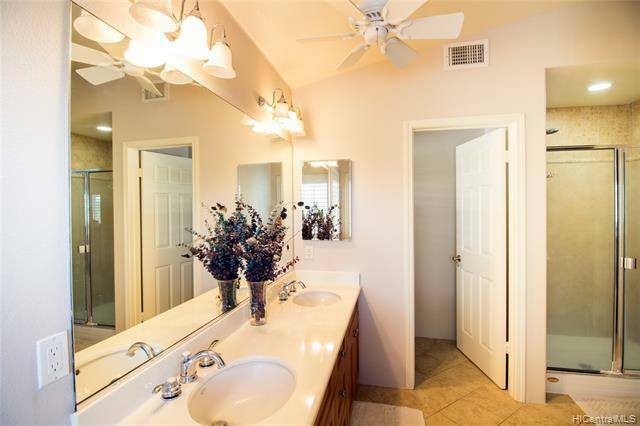 Recently painted interior. 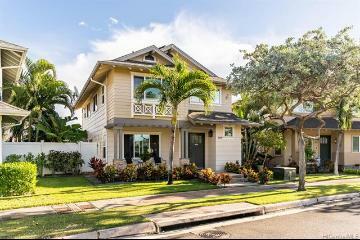 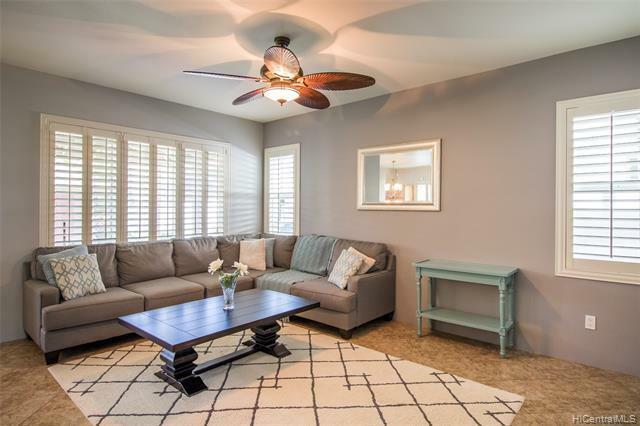 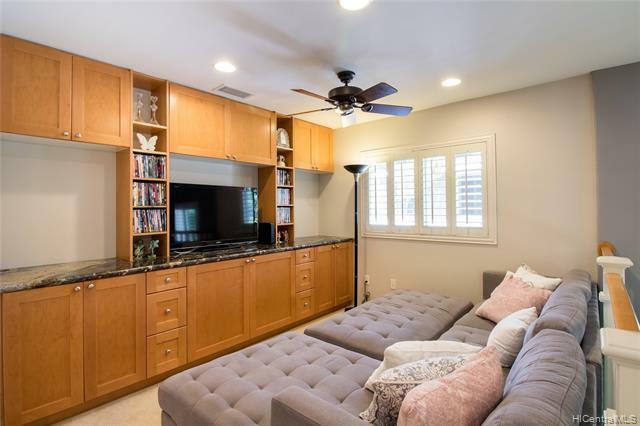 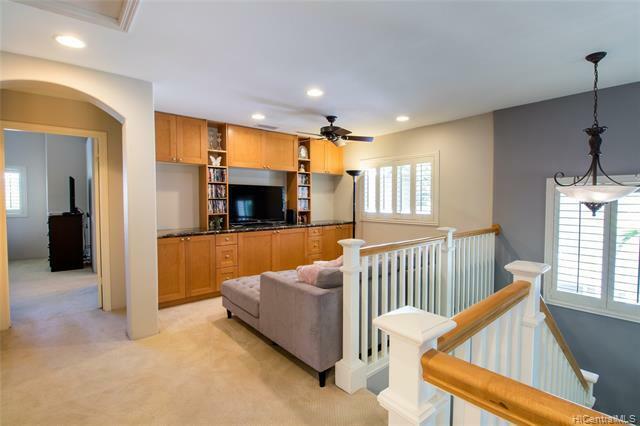 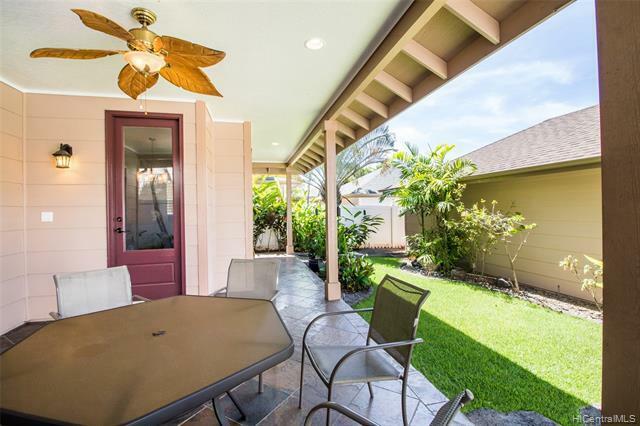 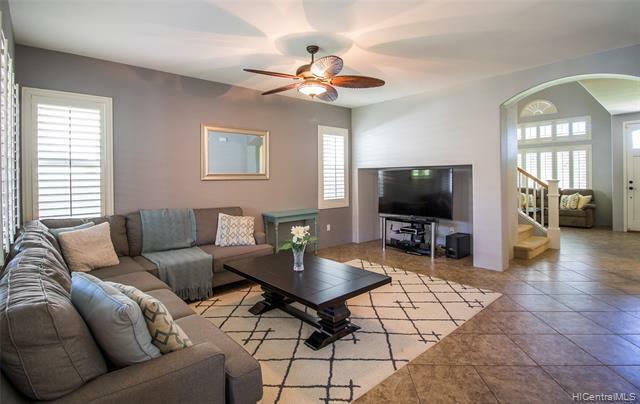 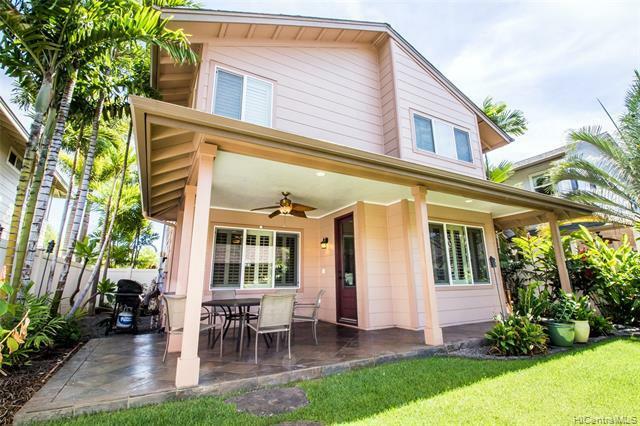 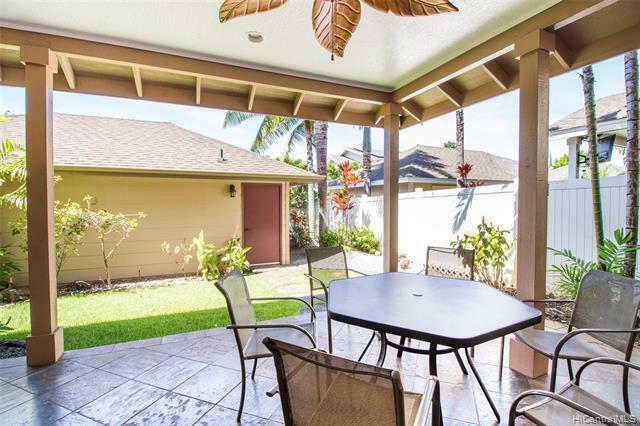 Formal sunlit living room and large kitchen opens into family room and outdoor lanai. 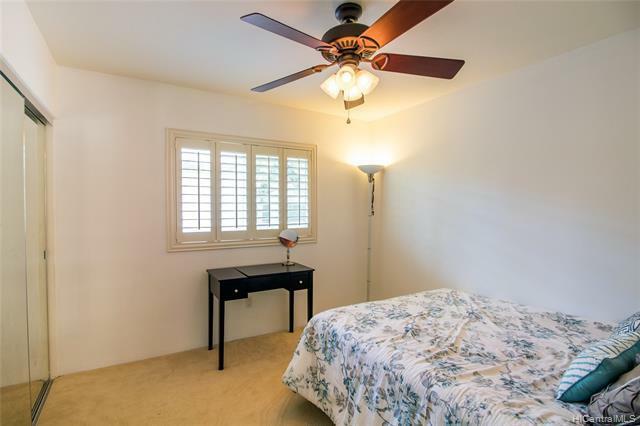 Sprawling second floor loft area and master bedroom. 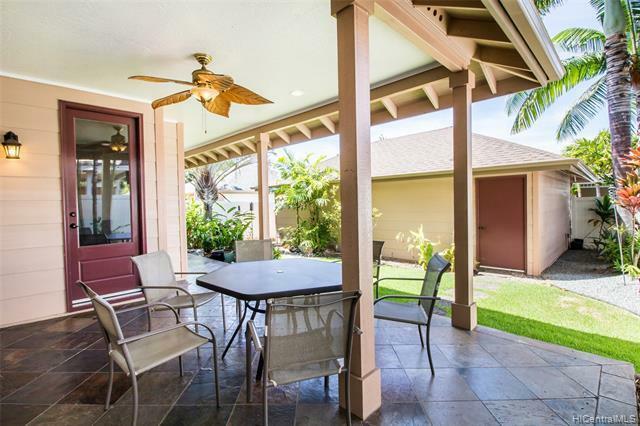 Professionally landscaped low maintenance yard perfect for BBQ gatherings. 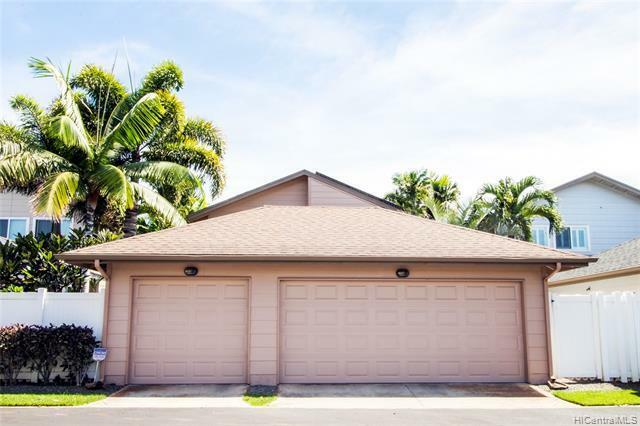 Desirable location at edge of neighborhood park, close to bus stop, Laulani shopping center, golf courses, schools, and Oneula Beach Park. 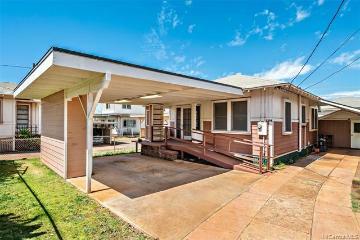 91-1032 Kai Wana Street, Ewa Beach, HI.